With all the pandemonium post Brexit & the ensuing political blood bath, it doesn’t require some clairvoyance to infer; for all its contagious ramifications for Europe & the world at large it’s highly likely that Britain would eventually settle for a deal that gives it access to free market on the condition that little changes for EU nationals residing in Britain & millions of Britons across the Europe, effectively sticking to the status quo. arguments & their counters are increasingly polemical & laden with rhetoric. With the democratic & the republican primaries for all their tumult & welter over, the Presidential election in November is a worthy finish for election campaigns that may very well put some of leading Indian politicians to shame. Entrenched political parties have long been unpopular in the US, that both the presumptive Presidential nominees; Hillary Clinton & Donald Trump are actually the two most unpopular ones doesn’t help the widely held notion that common Americans have little say when it comes to choosing people who occupy the Oval Office & the Congress. Special interest groups are assumed to wield unfair influence in the upper echelons, breeding in disillusionment & apathy among voters specially the younger ones.This pattern of resigned stolidness runs rampant across the world where politics is often assumed to be a game of elites & elections a bourgeoisie joke.The rise of Donald Trump, a typical xenophobe & a glib talker who almost leisurely laid to waste established Republican contenders to nomination exemplifies the strong anti- establishment sentiment running amok across constituencies. Curiously, Trump’s ascendance isn’t the only thing that makes the US Presidential election all so intriguing. It is actually Bernie Sanders’s socialism; sweeping America this primaries season, enthusing young people that they can actually change the landscape of American polity for better. Sanders- style socialism promises to become a revolution in an America where working- class families are increasingly vulnerable & job security a precarious proposition. Both, Trump & Sanders draw strong support from the working class. The conspicuous difference, Trump feeds on people’s trepidations vowing to ‘Make America Great Again’ through walls & shunting off America from the world whereas Sanders’s socialism espouses taxing the rich, building a workable healthcare policy taking cues from Canada & the Nordic nations & helping students with the vast education debt. 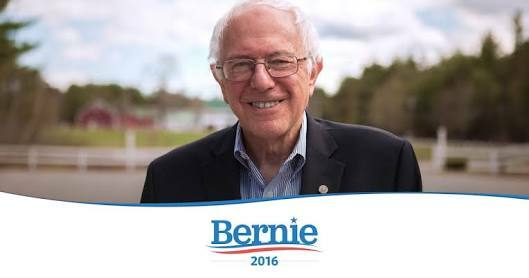 Sanders’s proposals may sound ‘too good’ to the ears & ‘too harsh’ for Corporate America, that’s why in the end he failed in clinching democratic nomination. 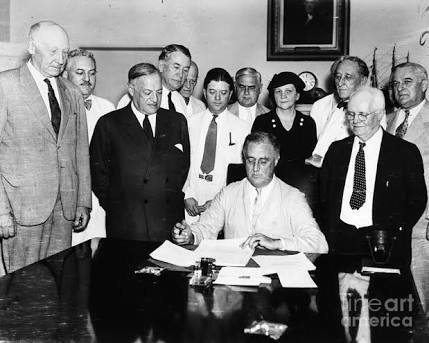 The American tax policy has long been retrograde, during the uneasy days of the Great Depression of 1930’s President Roosevelt enacted the Social Security Act & the Wagner Act in 1935 providing income to elderly & workers the right to unionize. Under Roosevelt’s New Deal & in the following years America would tax the rich increasingly to fund the welfare- state. This somewhat uncertain arrangement between the capitalists & the labor continued for the next two decades post the World War riding on increasing profits of corporations & improving productivity. With German & Japanese industries still recouping from the ravages of war, there was ample market for American goods everywhere.The Marshall Aid helped maintain imports in Europe & the American industries prospered like never before.The Keynesian policies were working wonders, increased wages improved demands for consumer goods & industrial establishment continued to invest more.The living standards improved; national GNP rose from $200,000 million in 1940 to $500,000 by 1960. Americans now enjoyed the best living standard in the world. By 1960’s this cycle of increasing profits, wages & demands was finally busted open. Inflation wasn’t a creeping phenomenon anymore. 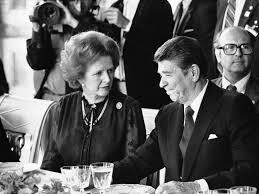 It was this demon lurking behind that was to set the economic & political trends for coming decades; an age of Neo Liberalism of Nixon & Thatcher in the Anglo- Saxon world. Welfare spending decreased, so did taxes on the rich while defense spending continued to grow as Vietnam War strained the economy & the Cold War with the Soviets escalated. In the decades to follow, President Reagan embraced the Neo- Liberal doctrine; welfare spending was slashed, job security increasingly turned precarious as corporations turned to Asian markets where demands grew & availability of cheap labor precipitated the flight of low paying jobs to China. The government turned suspicious of labor unions & thus, ended the uneasy arrangement between the capitalists & labor in the US. The Republican Party over the years has transformed into a plutocratic clique, with big donors & lobbyists funding their electoral campaigns & thus, isolating the vast majority of Republican supporters. In the 2012 Presidential campaign, Mitt Romney, the Republican nominee ran on a program of conservatism fuelled by Neo- Liberalism of Nixon & Reagan years; budget cuts for social welfare, free trade, deregulation of industries, tax cuts that unfairly benefit the rich & have long stagnated middle- class living standards. Finally, to top it all strictures for illegal residents that continues to irk the Hispanics & many other immigrant communities. The Republican supporters; conservatives & working class white Americans have had their concerns long put to backburner by the party establishment high on special interest donations. Having seen its policies appropriated by the Tea Party protesters in 2009 who fervidly opposed Obama administration’s policy to finance health insurances for the vulnerable; foreign born residents & those without citizenship. The belligerent protesters often employed imageries of the historical Tea Party protests against colonial taxes. They saw government meddling as an attempt at redistribution from the deserving ‘us’ to the undeserving ‘them’ & a bid to finance lives of the unworthy by taxing ‘us’. The Republican establishment cringed as Tea Partiers turned pugnacious.The reactionary hijack of the GOP demonstrated what was in store, the frenzy of Donald Trump. Here was a man who tore down Republican conservatism, upending the very notion that primaries were tightly controlled exercises or blatantly a contest between rival factions with little concern for the public. For all his rhetoric & xenophobic rants, Trump understands what the Republican Party willfully denies; a large segment of Republicans want to tax the rich, they want social security & shielding of their wages from being depressed by desperate immigrants. 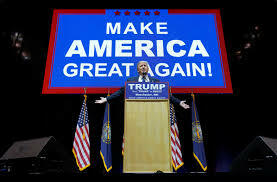 When Trump struts around with his red-cap, the message is conspicuous; Make America Great Again feeds on the nostalgia of a past where middle- income White Americans had better living standards than they have now & the future appeared brighter & better. As if the message from the supporters wasn’t unequivocal in 2012, the establishment attempted to force down Jeb Bush as their anointed one. Bush had everything going well; a dynastic name, support of the party elites & people with deep pockets to fund his nomination challenge. Most importantly, the establishment believed he had the perfect anti-dote for Democratic Party’s demographic advantage among the Hispanics; a restructured conservatism with a liberalized immigration policy to grant citizenship to millions of illegal residents. For all its pomp & show, Bush’s challenge fizzled out even before the culmination of primaries. 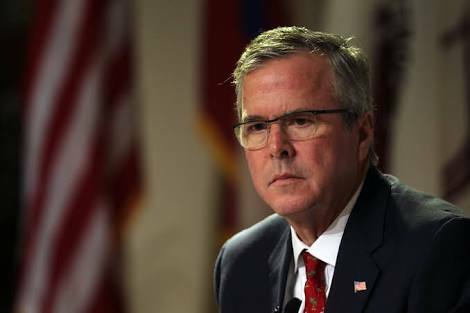 The former Florida governor soon turned ‘low- energy Jeb’ as Trump unleashed his barbs at him. From Ben Carson to Marco Rubio & Ted Cruz each foundered before Trump as the party desperately tried to accept ‘anyone but, Trump’. This unyielding stance turned the supporters even more obdurate; for their support of Trump is a verdict against establishment that has long passed fiats placating the rich as the middle –class continues to struggle under the implications of the Great Recession. Trump only needed a mix of xenophobia, a support for social security & a whimsical guarantee to arrest the job flight to Asia to finally become the Presumptive Nominee. For how’d Trump fare in the Presidential elections is something that hinges on an entirely different set of variables; his xenophobic rhetoric may have helped him win support among a segment of middle-class White Americans but, such harangues may not take him far in the elections this November where the voters are from a far more diverse background than his usual constituency. This Presidential election may end up having far greater implications for both the Republican & Democratic Party. The rise of Trump & the long drawn Sanders’s challenge for nomination means, vast segment of voters across constituencies are visibly disillusioned. They can easily be swayed by anyone who fashions himself as anti-establishment & is willing to support their long ignored concerns. The Tea Party hijack & now the Trump candidacy confirm the belief that Republican Party is vulnerable to such retrograde movements. Although, the Democrats didn’t plunge into the same morass as the Republicans but, calling them a cohesive lot is far from reality. That a Bernie Sanders, a political maverick went onto attract millions of young Americans into the fold of his ‘political revolution’ should actually hasten introspection in the Democratic establishment. Such, strong anti-establishment sentiments may fuel a reactionary usurpation in the future in any of the traditional political parties of America. Will the ruling class heed these ominous signs? One thing is for sure, this Presidential contest is to reverberate for many years to come.